We love to clean so you don't have to! Call or Get an Instant Price Today! Friendly, Personable, Highly Trained & Professional. Our skilled professionals go above and beyond on every job. 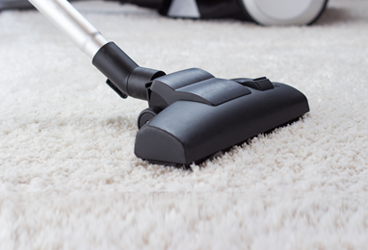 Cleaners are rated after every cleaning and come highly rated by other Sparkling Clean clients. All of our Cleaners undergo identity, background and reference checks as well as in-person interviews. We're mobile friendly. 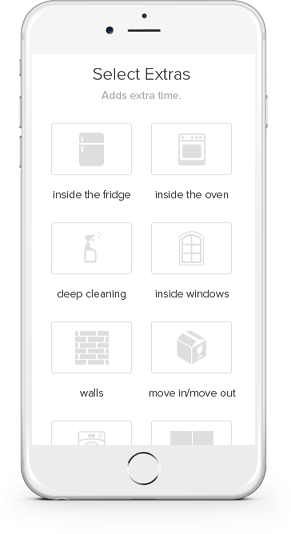 Book and manage your cleaning appointments just as easily from your mobile phone as you can on your computer. We have used Sparkling Clean for over two years now and are always thrilled with the job they do. I think it is VERY difficult to find a quality cleaning company that you trust in your home, but Sparkling Clean is definitely that. It takes a lot to impress my OCD husband ;), but Sparkling Clean always gets rave reviews from him. Highly recommend! We moved into our new home the end of January. I saw one of Sparkling Clean's signs at the end of our neighborhood and decided to give them a try. Our first experience with them is all I needed to know we would be keeping them. Our first cleaning was scheduled on a Monday and we were having a large number of people coming that night. It snowed really bad and some of the cleaning gilrls could not make it to work. Instead of calling us to cancel, the OWNERS came and cleaned our house! We get weekly emails detailing our cleaning schedule. We also do a lot of entertaining so they are very flexible with us on moving days if we need to. I definitley encourage you to give them a try! You won't regret it! Ashley & her crew are the sweetest and are so amazing at what they do. The value is fantastic and I would highly recommend them to anyone. :))))) 5 stars all the way. I am very pleased with Sparkling Clean. The owner, Ashley and her team are sweet, thoughtful and conscientious workers. They regularly go above and beyond what is required and it shows in their quality of work. We work hard to make your life easier! Sparkling Clean helps by giving you time to focus on what’s most important. Online communication makes it easy for you to stay in touch with your Cleaners. You can call, text, email or even open a live chat on our website! You're only a step away from a happy, clean home!